Live oceanfront at Litchfield by the Sea with the help of RE/MAX Southern Shores. Litchfield by the Sea is a premier resort community on the Atlantic Ocean near Pawleys Island, SC. This beautifully landscaped and meticulously maintained gated resort offers lavish pool complexes, tennis courts, fishing, and bike trails. Surrounded by the charming and historic low country of South Carolina, Litchfield by the Sea is easily accessible to nearby golf courses and only a short drive to Myrtle Beach or Charleston. The resort’s properties include oceanfront condos, homes, and villas, all on or accessible to the Atlantic Ocean on Litchfield Beach. 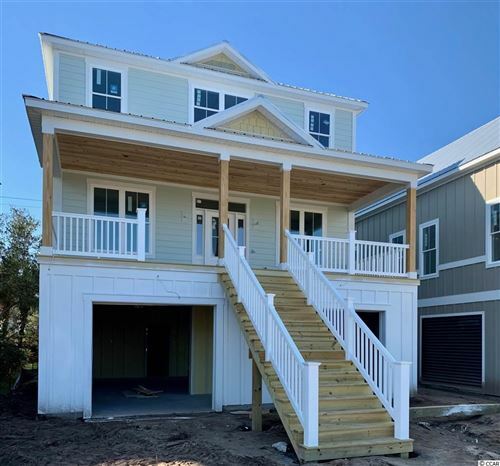 Bordered by Huntington State Park Litchfield by the Sea is a very special community offering homeowners, visitors and vacationers a lifestyle built around beach activities, tennis, golf, walking, biking and hiking. Just three miles from Brookgreen Gardens, this truly a unique community balances progress and the environment. RE/MAX Southern Shores has a reputation for personal customer service. Our skilled agents draw upon more than four decades of experience and up-to-date knowledge to meet YOUR needs. Call RE/MAX Southern Shores today at 843-249-5555 to make your dreams of southern living at its best come true! Spend some time with a RE/MAX Southern Shores agent exploring the benefits of belonging to an oceanfront community rich in both activity and atmosphere. Come see why those who know the Carolina coast return to Litchfield by the Sea and RE/MAX Southern Shores Realty. Litchfield by the Sea is a private resort community of homes, condominiums, villas, and town homes neatly placed along pristine ocean frontage located between Litchfield and North Litchfield Beaches. This premier resort offers one mile of easy access to the beach and amenities that are unequaled along the Grand Strand. This wide sandy beach is part of a seven mile stretch starting from the southern tip of Litchfield, and north to the jetties of Murrells Inlet. A RE/MAX Southern Shores agent can help you to discover the diveristy within Litchfield by the Sea. Each Litchfield by the Sea community offers a swimming pool, and there is a newly remodeled oceanfront clubhouse and pavilion. Osprey Lake has a covered fishing pier, and there is an overlook on the salt marsh with floating dock. Litchfield by the Sea has seven lighted tennis courts and jogging/biking paths that weave through the resort and offer scenic views. This gated community is conveniently located near grocery stores, restaurants and the shops of Pawleys Island. Fordham, Cambridge, Warwick, Hamilton, Paget and Whitney Parrish were designed to reflect the color and architecture of Bermuda. This area of Litchfield by the Sea offers oceanfront and oceanview condominiums with swimming pools and hot tubs, along with the other amenities offered at Litchfield by the Sea. RE/MAX Southern Shores has a reputation of excellence and personal integrity. Our goal is to exceed your expectations throughout the entire real estate process. Our skilled agents are dedicated to your needs; whether your interest is purchasing a primary residence, a second home for vacation, or an investment, RE/MAX Southern Shores agents draw upon a wealth of knowledge and experience. Call RE/MAX Southern Shores today at 843-249-5555 to make your dreams of southern living at its best come true!